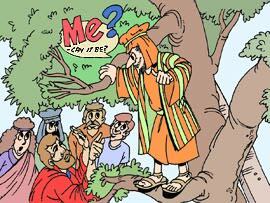 Zacchaeus, the chief tax collector, a sinner in the eyes of every man, yet he wanted to see Jesus. I can’t imagine a sinner like him who is eager to see the son of God. In this modern time, he is like a criminal who runs towards policemen and gladly welcomes them to his escape place. However, God’s message for me in this story is repentance. When Jesus came and Zacchaeus welcomes Him, repentance took place. I’m eternally grateful that Jesus came into my life, He changed my heart through repentance, and now I am saved. Indeed, 10 the Son of Man came to seek and to save the lost. When I reach heaven and final walk with Jesus, I wonder what He will tell, but I pray that God will say, “Well done, my good and faithful servant.” God blesses His children with gifts, treasures, talents, and abilities. How we utilize these gifts are more important to God, are we like the wicked servant who just keep his minas on his own or are we the good and faithful servant who has been given much yet returns more. In the prince of Egypt or the story of Moses, the pharaoh has a chariot and many horsemen that’s why they are all looked up to; they are like the ones who drive a Ferrari in this generation, but Jesus the King of Kings does not even own a horse, and so He used a donkey. What is a donkey? A stubborn, simple-minded, low maintenance, but with great endurance, it can work under hot and difficult conditions, it is the so-called animals for the blue-collared workers. And what does Jesus says about the donkey? The Lord needs it. 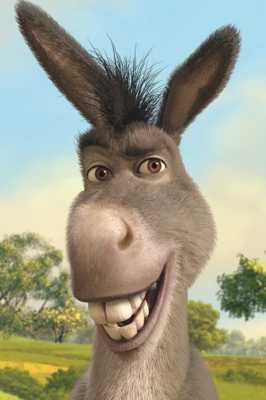 Jesus used an undesirable donkey for His triumphant entry to Jerusalem. Isn’t this a great reassurance from the Lord that no matter how undesirable we see ourselves, we may feel lowly, stubborn, and simple minded but we can used by God for His glory just as used and needed a donkey. Have you ever see a crying stone? I haven’t seen one yet; maybe it is because I surround myself with people who never stop praising the Lord. Have you ever cried for your country? I did for the Philippines a couple of times. But I shall not feel sad, for even Jesus wept just like Nehemiah for Jerusalem. My tears will never be enough, I must do something. I must pray for my country and work it out by reaching the next generation and even other nations telling them of the Gospel, the good news of the risen and will be returning King – Jesus. Where does God lives? I don’t know, for He is uncontainable; no place can ever contain Him. The Bible says that, our body is the temple of the Holy Spirit; therefore, as God the Holy Spirit dwells in us, we must be a temple of prayers. Jesus said, 46 “It is written,” he said to them,“‘My house will be a house of prayer’ As He lives in us, let our bodies be holy, sacred, and pleasing dwelling place of the Lord.